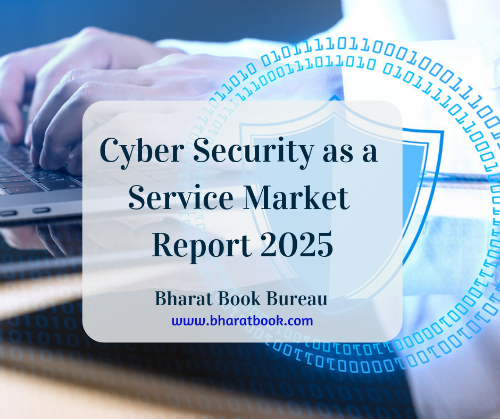 Bharat Book Bureau Provides the Trending Market Research Report on “Global Cyber Security as a Service Market Size study, by Security Type (Enterprise Security, Endpoint Security, Cloud Security, Network Security, Application Security), by Service Type (Threat Intelligent & Behavior Analysis, Auditing & Logging, Monitoring & Altering), by End-User (IT & Telecom, Retail, BFSI, Healthcare, Defense, Automotive, Others) and Regional Forecasts 2018-2025”under IT Services Category. The report offers a collection of superior market research, market analysis, competitive intelligence and Market reports. Global Cyber Security as a Service Market to reach USD 92.3 billion by 2025. Global Cyber Security as a Service Market valued approximately USD 28.9 billion in 2017 is anticipated to grow with a healthy growth rate of more than 12.7% over the forecast period 2018-2025. The global cyber security as a service is rapidly growing at a significant pace. The major driving factor of global Cyber Security as a Service market are high demand for auditing & logging security services and booming content industry. The major restraining factor of global cyber security as a service are lack availability of infrastructure. Cyber security as service refers to preventive techniques utilized to protect and safeguard an organization information & system from cyber warfare espionage and terrorism. It is a critical part of the security strategies adopted by various governments as cyberattacks are mostly aimed at military, political and infrastructural assets. There are many benefits of such as cyber security solutions provide digital protection to your service, effective cyber security eliminates this possibility and maximizing your service potential output, it is ensuring that your service is secure from cyber threats will also help to protect your customers and it can inspire trust in your customer that their personal data will not be comprised. The regional analysis of Global Cyber Security as a Service Market is considered for the key regions such as Asia Pacific, North America, Europe, Latin America and Rest of the World. North America is the leading/significant region across the world in terms of market share owing to high level of digitalization and rising number of connected devices. Europe also contributes a satisfactory growth in the global cyber security as a service market. Asia Pacific also anticipated to exhibit higher growth rate / CAGR over the forecast period 2018-2025 due to rising number of startups and government initiatives and regulations concerning cyber as a service market.